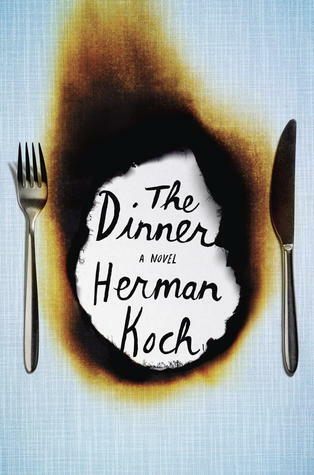 Herman Koch’s The Dinner is a psychological thriller that takes place over the course of one meal, as two families dance around the very serious incident that binds them together. Told largely in a series of flashbacks and the memories of an entirely unreliable narrator, Paul Lohman, The Dinner keeps you guessing from the first page to the last. I’d seen so many mixed reviews of this, but figured it was definitely worth a shot when I read that it was “a European Gone Girl.” Once I was getting into the novel myself I could immediately see the comparison. Gillian Flynn and Herman Koch have a knack for writing really in depth crazy people, and making you love every minute of them. Like Gone Girl, Sharp Objects, and Dark Places, The Dinner is filled to the brim with unlikeable characters, but they are unlikeable in the best way. 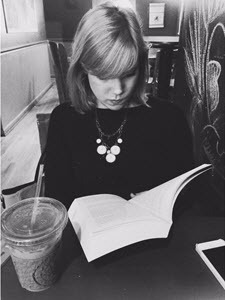 As the dinner revealed more and more about the nature of both Paul’s family and his mental state, I found myself growing increasingly uneasy, especially as the end of the book quickly approached. This book continued to surprise me as I read it, and I closed it still feeling uneasy and wondering if anything was actually resolved at the end. Paul and his wife Claire, along with their son Michel will have a strained and complicated relationship at best, although it is just as likely they will be able to continue with business as usual, as was their way throughout everything else. I’m still wondering about them, a few days after finishing, which I think says a lot for the characters and the book as a whole. I cannot wait to get my hands on Herman Koch’s most recent novel, Summer House With Swimming Pool, very very soon! I would definitely recommend this, whether you enjoy thrillers or not, and especially if you devoured Gillian Flynn’s books a while back like I did. It’s fast paced, taking place over the course of one dinner, and is best read on the beach, safe from Amsterdam and the turmoil of Herman Koch’s twisted characters. I LOVED this book. A complete original and so so so so so messed up. You’re left with your jaw on the floor like ‘did that just happen?’ Great review! I seriously was! I just got his newest book so I have high hopes for that to be just as good! I must pick this one up soon. I’d never heard of it before, but I loved Dark Places and Gone Girl, so I will probably love this one as well. Definitely! I saw the comparison right away!